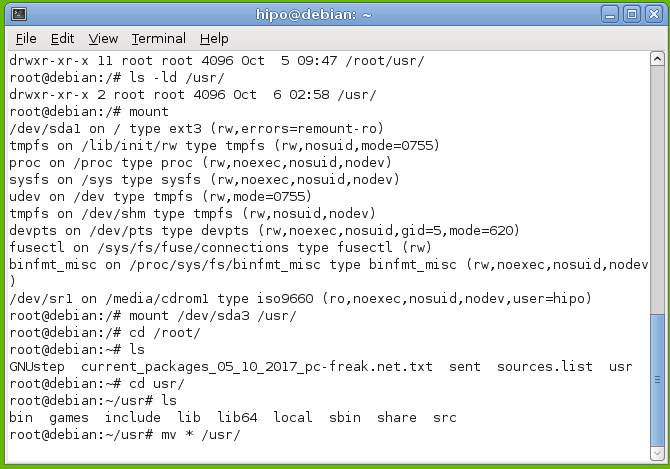 What is this directory /run/user/1000 on Debian and Fedora GNU / Linux? So what are these /run/user/1000, /run/user/0, /run/user109, /run/user/1000 showing in my df -h I'm I hacked or what? user. These might be things such as your keyring daemon, pulseaudio, etc. 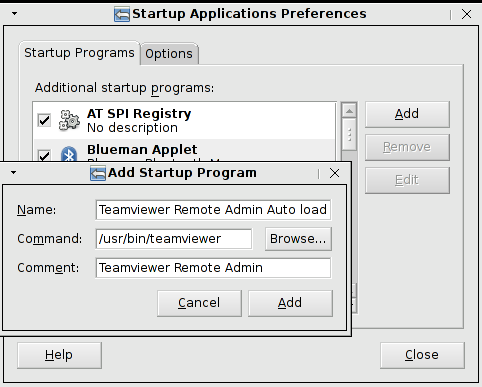 change the ownership & mode on the files being created, it's more difficult to work with. So systemd came along and created /run/user/$uid. It also keeps things nice and organized. When a user logs out, and no active sessions remain, pam_systemd will wipe the /run/user/$uid directory out. With various files scattered around /tmp, you couldn't dothis. Should mention that it is called $XDG_RUNTIME_DIR, documented at 8 standards.freedesktop.org/basedir-spec/basedir-spec-latest.h‌​tml. What if: I have started a "background" computation process with nohup, and it saves its intermediate results/data in a temp file. Can I count on it not being wiped while the process is running, or it will be wiped, and the process started with nohup will loose its data? It's unlikely to be wiped, but /run/user is a tmpfs filesystem in debian, ubuntu and fedora, so it'll be limited. What if the pidfile is a service running under root. Should it's PID go under /var/run or /var/run/user/0 ? If since there is no active sessions will it be removed? This directory contains system information data describing the system since it was booted. Files under this directory must be cleared (removed or truncated as appropriate) at the beginning of the boot process. Programs which have migrated to use /run should cease their usage of /var/run, except as noted in the section on /var/run. 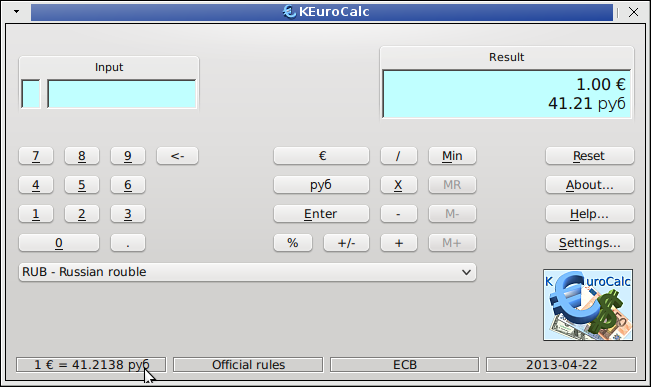 Programs may have a subdirectory of /run; this is encouraged for programs that use more than one run-time file. Users may also have a subdirectory of /run, although care must be taken to appropriately limit access rights to prevent unauthorized use of /run itself and other subdirectories. different users UID's are logged in the system. adduser is available across most Linux distributions nowadays, however I remember in past there was some distros which had useradd instead. 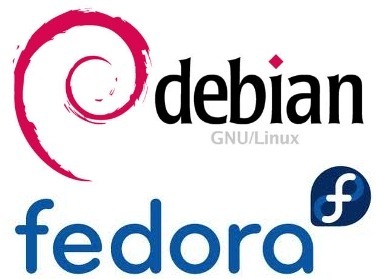 Anyways for most adduser should be ok. As of time of writting both 3 main stream Linux distributions Slackware, Debian and Fedora has adduser. Again depending on Linux distribution by default /bin/bash /bin/sh or /bin/whatever shell will get added. To make just created user access to SSH disabled. Change shell to /bin/false – a tiny program which just returns a FALSE value and quits immediately. It is a common thing for me as a Linux and FreeBSD sysadmin to know what process assignes to which port number? I'm sure many novice system administrators will end up sooner or later with same question. Knowing what kind of processes has listening to TCP and UDP protocol / ports is a must to have a proper configured Linux / BSD system. 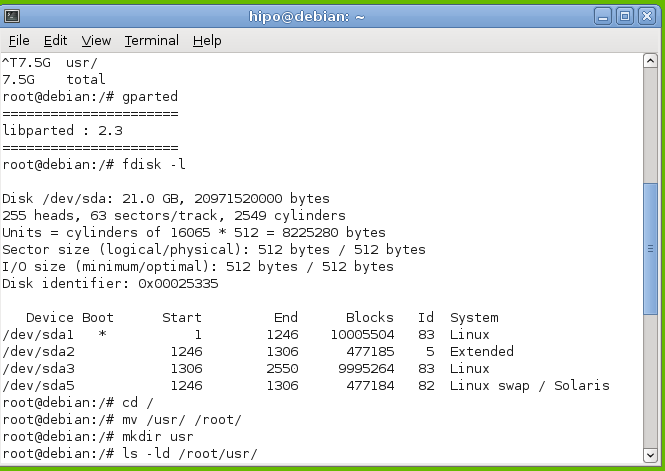 In Linux there are two commands ( lsof and fuser) with which you can get various extra PID information on running processes (i.e. get information which cannot otherwise be obtained via the usual ps and netstat To use them on most Linux distributions, you will have to have them installed. b) On Deb based Linuxes (Debian, Ubuntu, Mint, ArchLinux etc.). both lsof and fuser has to be installed via a separate packages non-part of Debian base install packs. 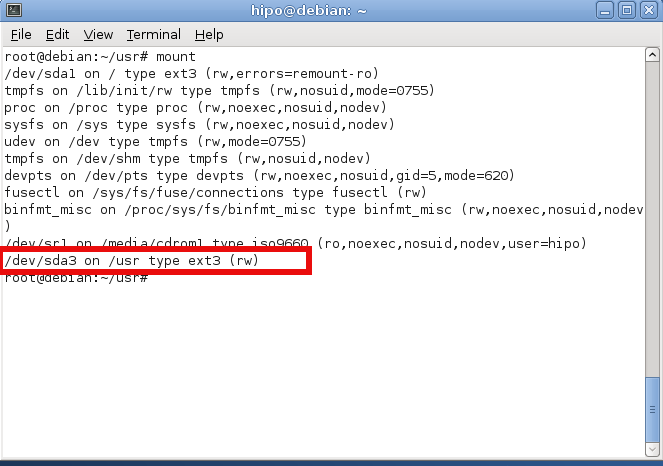 On Debian full path location of both is in /bin/fuser and /usr/bin/lsof. Two tools are precious swiss army knife outfit to use, whether you doubt someone cracked into a server or in doubt you might have "hidden" cracker processes on server. Above lsof command lists all active listening processes port number on UDP and TCP/IP 4 proto with the assigned process PID number (in second column). This is very useful if you find out to have listening service on port number and you cannot figure out what process name exactly is listening. A classic example, where this is very helpful is if you have a listening process on SMTP port 25 and you cannot identify what kind of mail server is taking up the port? This has happened me many times on Debian Linux based hosts, which by default had priorly installed sendmail and I later removed sendmail to install Postfix or Exim SMTP. Second approach to find out what kind of process is listening on a random port or socket, lets say port num 58515 is by using fuser. Below netstat cmmand, lists all active listening processes on respective IP address and port for protocol TCPIP v.4. Hence on to get more information on what process is listening on port 58515? As a close-up, I will say fuser and lsof are two must have software tools on any productive server. 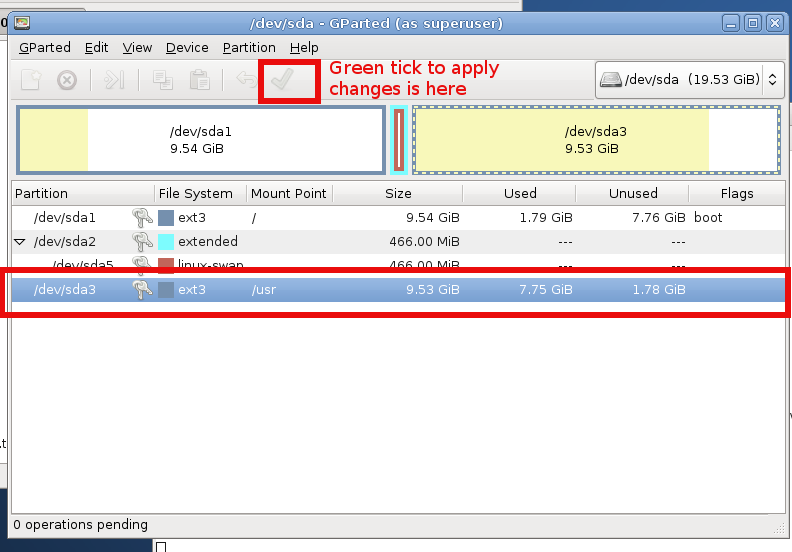 It is among the critical applications admin has to install during initial server set-up. fuser and lsof helps me often in my sysadmin work, it was more than once I've used them to identify script-kiddies exploit scanners running as a standard process names, as well secretly listening on weird port number cracker back-doors. 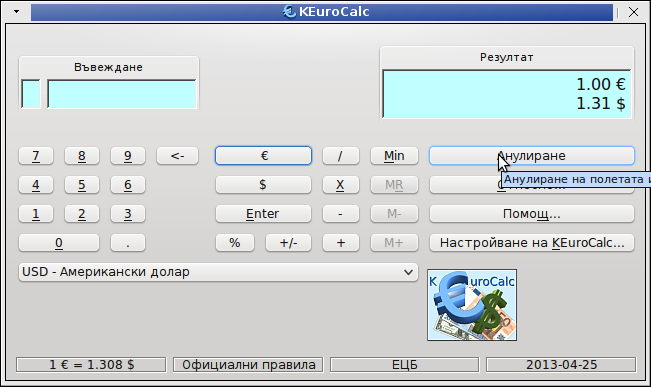 acct is existing on all mainstream Linux distributions is a great sysadmin tool. acct is a great tool whether you have a system where a multitude of users you don't trust has to be monitored. It is an absolutely must have for anyone willing to run, lets say experimental honeypot or free shell host. acct is useful for paranoid sysadmins who like to always knows what there users are running as well as in situation where some of users is suspected to be a potential cracker trying to root the host. data about user connect times and process execution statistics. # not sufficient to stop acct once after booting if your machine remains up. # Amount of days that the logs are kept. The file gathering info on system usage, CPU load, user ran commands /var/log/account/psacct is a binary and unreadable tailing it with tail -f .
A lot of the initial commands shown to run on pts/1 is not actual commands, by the user but are just stuff run on user login time via /etc/bash.bashrc, /etc/profile, ~/.bashrc. ~/.bash_profile. F – indicates the command run after a fork. Another good use of lastcomm command is to grep over all users executed command for precise commands of interest. One very good use case is if you catch a system abuser running certain exploit or DoS tool on the host and you want to make sure no-one else on the system doesn't try running it. There is one tool called ac, which is similar in what it does to last command, just like last it uses /var/log/wtmp binary log file to get its user login times stats . The difference is ac provides more and better structured user login time length info. Its very useful if you want to have idea, which user spends most time connected to host.